Liepaja Championship in beach tennis 2018 has concluded! “”Vega 1″ beach volleyball and tennis league” beach tennis 5th leg time changes!!! Liepāja Tennis Sports school woman team wins gold in Latvia! On Easter holidays two prizes for our students! From Latvian winter championship with cup! Friends of Tennis! We wish you good luck, strength, health and success in the sports in year 2014! 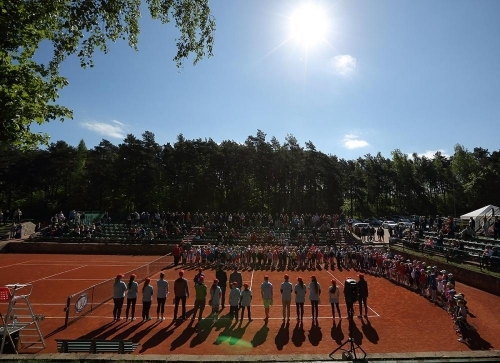 Clay season in Liepaja can begin!